Keep tabs on all of our tastings on our FACEBOOK page. 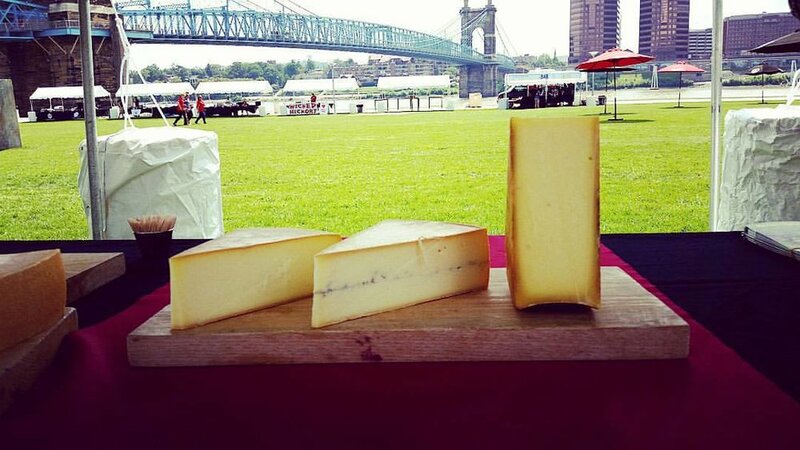 Join us Saturday, June 23 at Waterfront Park for the Burlington Wine & Cheese Festival! We’ll be there sampling as well as selling our cheeses and maple products from noon to 8:30pm. For tickets and more information, visit https://www.burlingtonwineandfoodfestival.com/. Join us at the first ever San Diego Artisan Cheese Festival! We’ll be there sampling our cheeses. They'll be available for purchase at the Venissimo Cheese Pop-Up as well! Stop by our booth and say hi! Saturday, June 9, from 12 - 7 pm at the Del Mar Fairgrounds. For tickets and more information, visit thetoastofthecoast.com. The awards keep adding up for our Tarentaise Reserve. Named Best in Show at the 2017 American Cheese Society Judging and Competition in Denver, Colorado. Read more and see the entire list of award-winning cheeses. "Sister to wildly popular Reading and Tarentaise cheeses, Ashbrook is made with high-quality milk from two small area dairies—thanks to its expanding product line, Spring Brook is a boon to the local economy. Need more to feel good about? Parent organization Farms for City Kids offers agricultural education programs for urban youth."